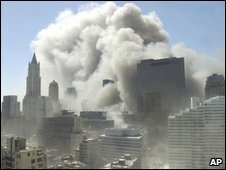 (437m sterling) to thousands of rescue and clean-up workers after 9/11. made sick by dust at the Ground Zero site of the attacks. of asbestos, lead, glass and cement. by a judge and agreed to by the claimants. fair and reasonable resolution to a complex set of circumstances”. while others could be in line to get more than $1m, depending on their injuries. legal battle spawned by the 9/11 attacks may now be drawing to a close. them ended up injured or sick. been filed against the insurance company. for workers, and challenged some claims as being based on flimsy medical evidence. and recovery workers affected by dust after the 9/11 attacks. the deal. It must also be approved by a judge. resolution to a complex set of circumstances". 9/11 first responders need your help NOW!